Governance Shake-up at the Global Fund: Promise or Peril? At the 10 year mark of the establishment of the Global Fund to Fight AIDS, Tuberculosis and Malaria, media coverage ought to be heavy with the achievements of the Geneva-based organization in mobilizing great quantities of aid against these three poverty-powered diseases. Instead, coverage has converged upon the Fund as it implemented a synchronized choreography in simultaneously announcing the resignation of Michel Kazatchkine as Executive Director and the appointment Gabriel Jaramillo to assume the newly created post of General Manager. Essentially Jaramillo becomes the Fund’s chief operating officer, endowed with the unusual authority of having a direct line of reporting to the Global Fund’s board rather than through its executive director as is typical in most prominent organizations. The departure of Kazatchkine and the ascension of Jaramillo, a former banking chief, are signal events in the board’s drive is to emphasize financial and managerial skills and rejuvenate its flagging fundraising efforts. Much momentum in the Fund’s mission was dissipated when revelations of theft and corruption totaling millions of dollars in losses within Fund supported programs in developing countries. Fundraising was further complicated when it was revealed that a flaw in the Fund’s prioritization policy allowed economic superpower China to win $1 billion in grants and thus depleted resources available for the poorest of countries, especially those in Africa. As a result of these and other concerns along with budgetary cutbacks for international aid, enough donors delayed or reduced their contributions to the point where the Fund was forced to suspend a new round of grants. The progress accomplished by the Global Fund nonetheless has been substantial and impressive. It now counts 3.3 million people receiving life sustaining anti-retroviral therapy, nearly 9 million who have received treatment against tuberculosis and distributed nearly a quarter of a billion anti-malarial bed nets. 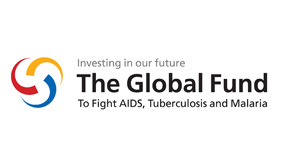 Over the past decade, the Global Fund has become, in essence, the world’s first and leading intercontinental health entitlement program by promising and delivering treatment for those fortunate to qualify and to gain access to sponsored programs. Donation streams are pooled, invested at the World Bank, issued to 150 countries and spent by thousands of public and private organizations. The vast scale and vital lifelines means that the stakes for the Fund are substantial and growing. Interruption or shortfalls in funding could cut off anti-retroviral and other essential medicines, raising the specter of more AIDS deaths and the resurgence of tuberculosis and malaria. The Fund’s need for supply chains and funding streams that are growing, secure, and transparent requires executive talent who can rapidly implement a strategy of oversight and accountability. Jaramillo’s private sector credentials should arm him well in crafting then implementing an accountability-oriented framework in support of the governing board’s strategic goals. Benefiting from previous roles on malaria policy and as a member of the panel that conducted the managerial audit of the fund, he steps into the General Manager role with a working grasp of key programs and personnel. He confronts a large, demanding set of implementing nations whose claim to “country ownership” over intra-country allocations will mean striking a balance between assuring donors that monies are spent as intended and assuring patients that their medical lifelines will be sustained. It is a towering order in magnitude of scope, scale, and complexity. It is unclear how well this custom arrangement, with both the Executive Director and General Manager reporting to the board, will ultimately work out. A new ED will have to be hired among candidates who will be asking how that role can succeed with the GM possessing an equal and parallel link to the board. When a new executive director is eventually chosen, that role, now reformulated as the Fund’s chief fundraiser and diplomat, will have to be coordinated with and reconciled to that of the General Manager role, which by that time will be occupied by an incumbent active for weeks, perhaps months with established links to the board. The success of the arrangement may boil down to the intangible factors of personalities and working chemistry between the two co-executives. For now, the leadership transition creates a testing point at a pivotal time for the Global Fund. With much riding on the ability of the organization to generate the confidence sufficient to grow donations, protect operations, and deliver vital services, the new governance arrangement will need to be validated just as the recruiting of Kazatchkine’s successor gets underway. If the co-executive model is successful, then the Fund will have pioneered a model that could be emulated by other agencies with similar mission and make-up. If it is proven to be less effective and more complicating, then further shake-ups of the governing architecture – its board, staff, review panels, country implementers, and inspectors – may loom in the future. Disruption and uncertainty that emanate from volatile governance would imperil the lifelines of millions and may dampen new initiatives in global development and health. The outcome will determine much of the Fund’s success in fulfilling its mandate over the next 10 years. Former US Ambassador Jack C. Chow was the lead American negotiator at the Global Fund’s founding in 2001-2, and served on the board of the Global Fund for the US and WHO on separate occasions.